Autism is a complex, misunderstood disorder that seems to be of fairly recent origin. Early on, autism was often confused with childhood schizophrenia in part because the term “autism” was initially used in conjunction with schizophrenia. The differentiation between the two did not come until about 1943, with the work of Leo Kanner at Johns Hopkins University. Chloe Silverman opens the book with a brief history of the development of our present understanding of autism. She provides a clear and very useful survey of the early contributions of Kanner, Hans Asperger, and other early investigators of this puzzling phenomenon. Not surprisingly, there were protracted debates as to the cause of autism. Ms. Silverman summarizes the debates between a psychological origin and a possible underlying biological cause, a debate that continues to some degree even today. She clarifies many of the current issues surrounding diagnosis and treatment. Bruno Bettelheim plays a prominent role in the second chapter of the book. Among other contributions, he had a profound influence over the diagnosis and treatment of autistic children. In the 1950s and 1960s, his writings had a significant impact on child psychology in general and autism studies in particular. But after he committed suicide in 1990, his reputation spiraled downhill. Ms. Silverman gives us a thorough and useful assessment of the controversy that surrounded Bettelheim’s contributions to the field of autism. The role of parents in both cause and treatment of autism had been hotly debated. Bettelheim coined the term “refrigerator mothers” to bolster his belief that autism was caused by cold and uncaring parenting. Ms. Silverman paints an entirely different picture, one of parental concern and advocacy. She sees parental involvement as central to both development of the child and contributing in unique ways to scientific research in the field. 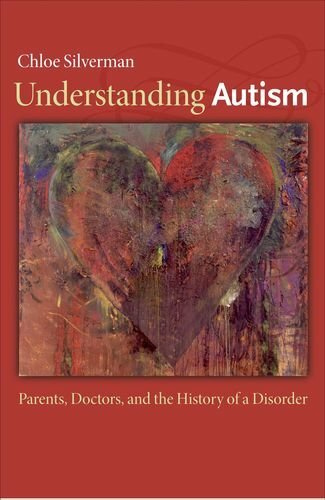 The remainder of Understanding Autism: Parents, Doctors, and the History of a Disorder explores some of the controversies surrounding various genetic and environmental causes of autism. Genetic relationships contributing to psychological disorders are always difficult to pin down. In the absence of a specific genetic marker (such as an enzyme deficiency in phenylketonuria or an abnormal hemoglobin structure in sickle-cell disease), making the argument that a disorder is inherited is challenging. When dealing with a situation where the psychological environment may also be an issue, identifying a genetic cause may be close to impossible. Many parents and scientists have raised the issue of environmental insults that would precipitate autism. These triggers are believed to include diet (especially gluten) and heavy metal contamination (involving chelation therapy for treatment). Mercury receives special attention, both because of its known neurotoxicity and its inclusion as an organomercury compound in vaccines. The vaccine controversy is explored in several places in the book, both in terms of scientific controversy and public health policy debates. Ms. Silverman details the Andrew Wakefield science fraud, finally culminating in the 2010 withdrawal of his publications by Lancet and his loss of his medical license. The only disappointment in Understanding Autism is the lack of information on neuroscience and autism. Studies are frequently reported in both the scientific literature and in news releases that look at brain imaging, neurotransmitters, and related neurological issues. This type of information is lacking in the present publication and makes the coverage of the topic somewhat incomplete. Having said that, Understanding Autism offers an extremely useful overview of many of the issues currently being explored today in connection with autism. Understanding Autism is well documented, with extensive citations from professional literature, government publications, and news media reports.